For a nothing less than incredibly stylish look, consider pairing a black knit blazer with charcoal dress pants. Add a more relaxed vibe to your look with Gucci legend leather horsebit loafer brown. 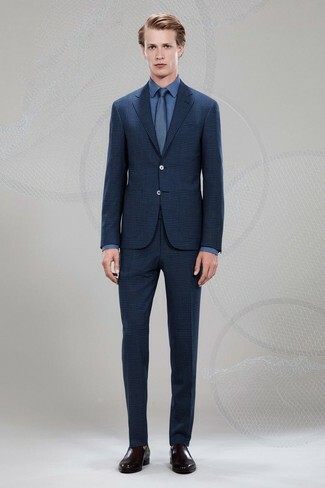 Consider wearing a blue long sleeve shirt and blue dress pants for a classic and refined silhouette. 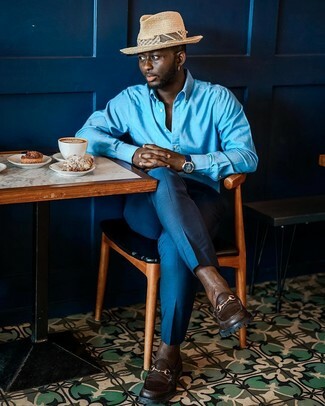 For something more on the daring side to finish off this look, grab a pair of Gucci legend leather horsebit loafer brown from Neiman Marcus. For a nothing less than incredibly stylish ensemble, pair a navy plaid suit with a blue dress shirt. 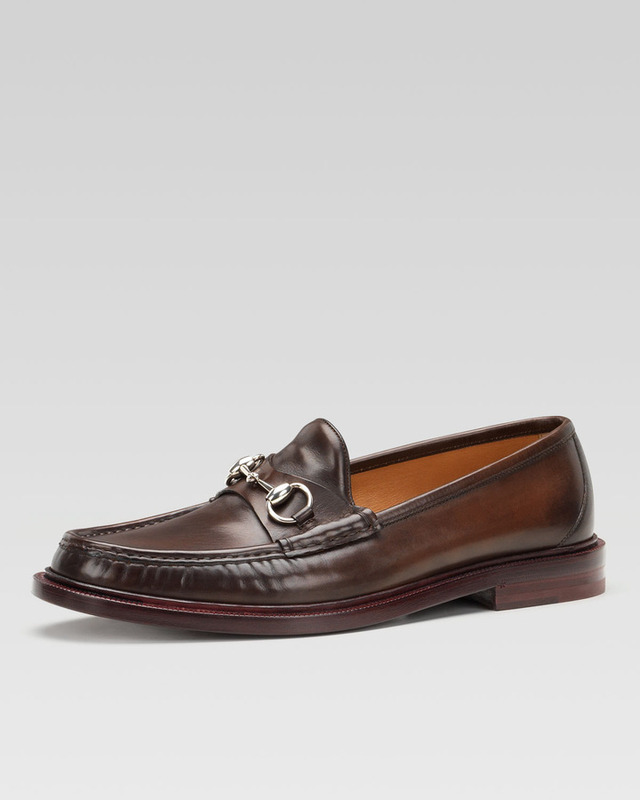 Add a sportier feel to your ensemble with Gucci legend leather horsebit loafer brown. If you're on a mission for a casual yet dapper getup, wear a white and red and navy plaid long sleeve shirt and navy chinos. Both garments are totally comfortable and will look great paired together. Channel your inner Ryan Gosling and grab a pair of Gucci legend leather horsebit loafer brown from Neiman Marcus to class up your getup. 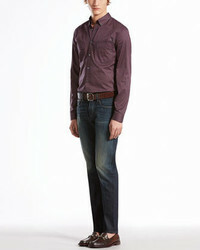 If you're after a casual yet dapper outfit, wear a white short sleeve shirt and black and white vertical striped chinos. Both pieces are totally comfortable and will look great paired together. Kick up the cool of your getup by completing it with Gucci legend leather horsebit loafer brown from Neiman Marcus. 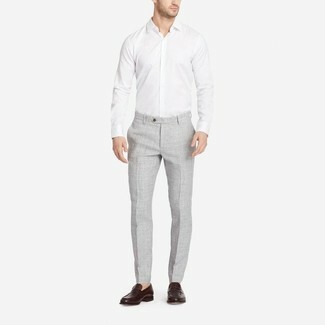 Wear a white long sleeve shirt and grey linen dress pants for a classic and refined silhouette. Want to go easy on the shoe front? Make Gucci legend leather horsebit loafer brown your footwear choice for the day. 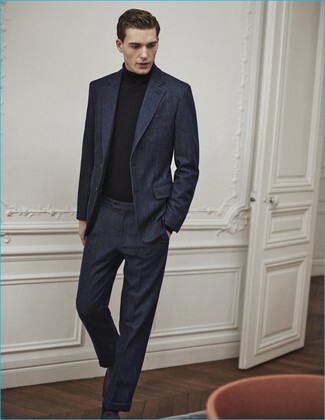 Opt for a navy wool suit and a black turtleneck like a true gent. 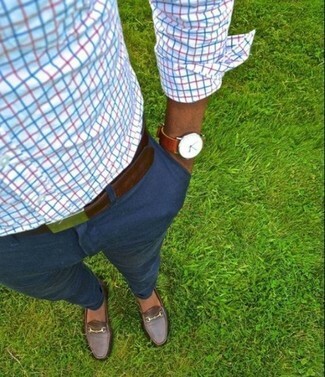 Throw in a pair of Gucci legend leather horsebit loafer brown to make the look current. 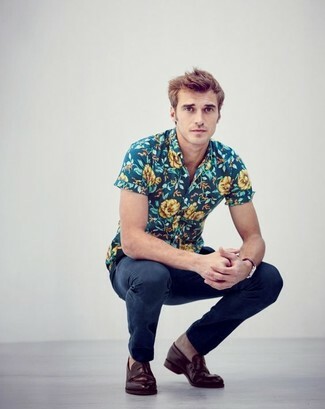 If you're after a casual yet seriously stylish ensemble, reach for a teal floral short sleeve shirt and navy chinos. Both pieces are totally comfortable and will look great together. Kick up the cool of your ensemble by complementing it with Gucci legend leather horsebit loafer brown. 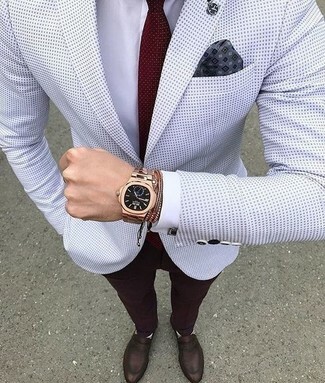 For a nothing less than incredibly stylish ensemble, choose a white polka dot blazer and burgundy dress pants. Make your look more fun by rounding off with dark brown leather loafers.